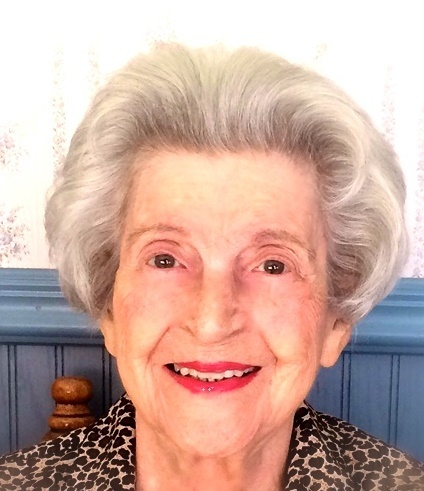 Sycz, Emily J., 91, Moxham, went to be with her Lord and Savior Jesus Christ on November 4, 2017 at home surrounded by her loving family. Born July 21, 1926 in Johnstown, daughter of the late Paul and Sophia (Tomkowski) Bargel. Preceded in death by husband, Joseph F. Sycz; son, Joseph P. Sycz; brothers, Stanley, Blaine and Walter Bargel; sisters, Mary Lambert and Anna Czyrnik. Survived by loving children, Kathleen M. married to Donald R. Magliocchetti, Westmoreland County; Patricia A. married to Victor H. Dodson, Baltimore; and Patrick M. married to Michelle Seth, Johnstown; grandchildren, D.J. Magliocchetti married to Michelle; Melissa M. married to Patrick Schooley; Victor P. Dodson married to Leila; Patrick Josiah married to Brittany, and Nicholas Sycz; great grandchildren, Anthony and Giada Magliocchetti, Pierce and Sophie Schooley, Emma, Hannah and Julia Dodson, and Mia, Evan and Roman Sycz; sisters, Helen Tomkowski and Theresa Ryba; also survived by numerous nieces and nephews. Emily was a member of the Moxham P.N.A., Nocturnal and Perpetual Adoration Society, Former member of St. Stephen’s prayer group, auxiliary member of the Legion of Mary and devoted member of St. Patrick Catholic Church where she served in the funeral luncheon group. Family will receive friends from 2 to 4 and 6 to 9 p.m. Friday, Nov. 10, at Moskal & Kennedy Colonial Funeral Home 219 Ohio St. Johnstown, where vigil service will be held in the evening. Funeral mass will be celebrated at 9:30 a.m. Saturday, Nov. 11, at St. Patrick Catholic Church with Fr. Walter Moll. Committal at Grandview Cemetery. In lieu of flowers, memorial contributions may be directed to either Windber Hospice or St. Patrick Church in her memory. www.moskalandkennedyfuneralhome.com.